Algae are produced when an aquarium is not well balanced. Causes of an unbalanced aquarium are the excessive feeding of fish, too many fish in an aquarium, excessive lighting or excessive fertilization. You also take them home when you purchase fish or plants! 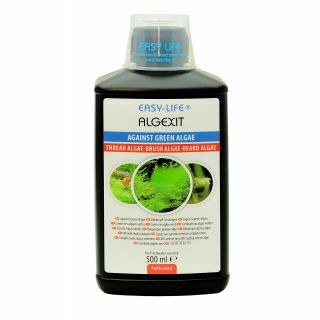 AlgExit is a safe and effective product for combating almost all types of algae in a freshwater aquarium. 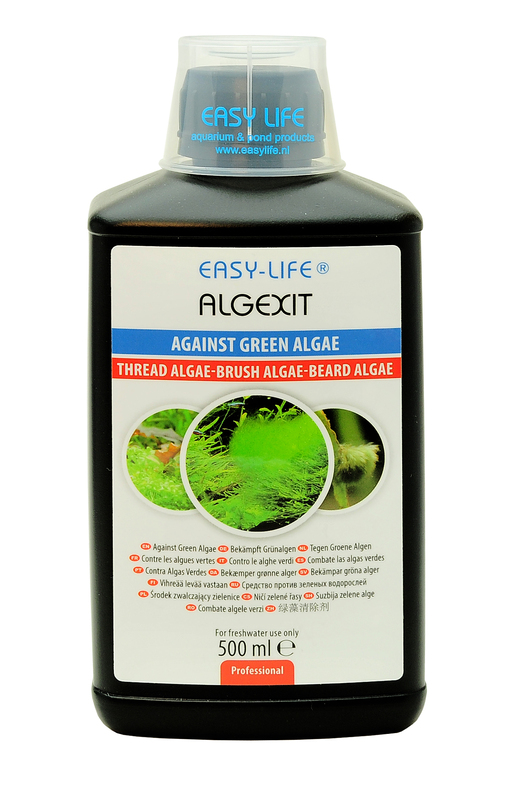 Algae, such as beard algae, brush algae and filamentous algae, are effectively wiped out. AlgExit is easy and economical to use and harmless to fish, shrimps, molluscs and plants. The algae growth is first brought to a standstill and then it disappears. Any algae spores that are still present in the water are removed.